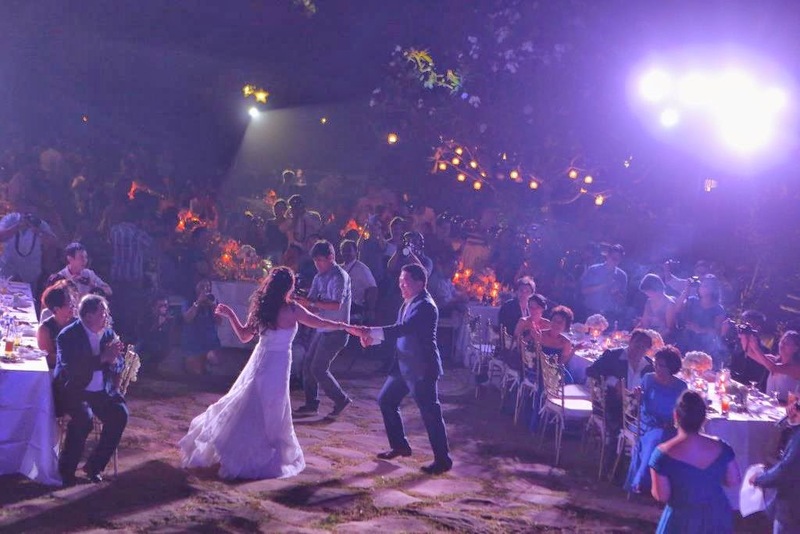 You've heard about on-the-day wedding videos that it is almost such a common thing in weddings already. But have you ever heard of on-the-day tattoos in a wedding? Well, I've never seen anything like it! This is one wedding day that truly made their mark! Literally. "We’ve never been particularly traditional so the standard wedding ceremony did not feel like it was enough. We wanted a symbol of the wedding being forever, our version of a blood compact. 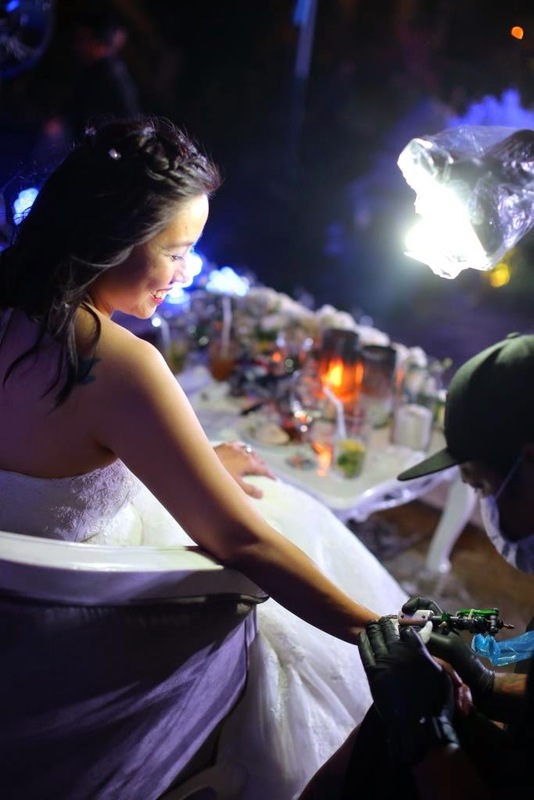 So beyond just rings, we asked Tattoo de Iloko owner Janer Santos to make our same day wedding tattoo during the reception, in front of all the guests. We now each have a half of a heart – mine is Ateneo blue and his is La Salle green. 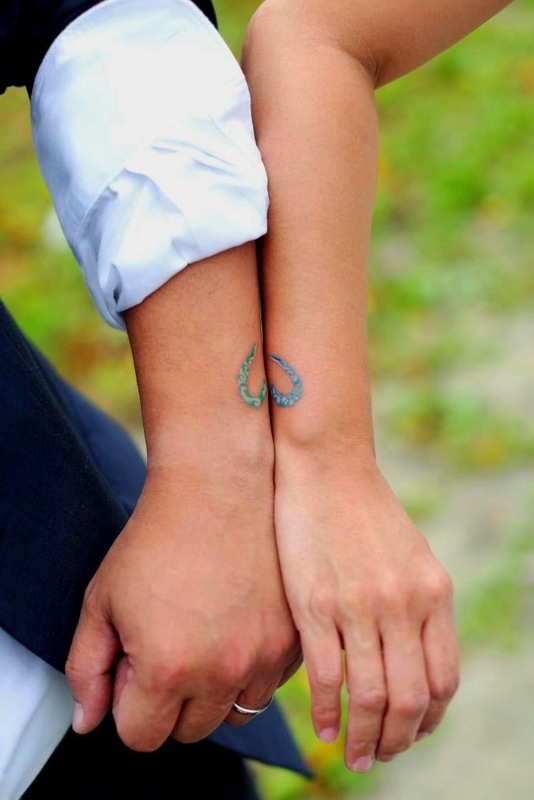 The tattoo symbolizes we are together, the other half of each other, but that we are still two unique individuals." 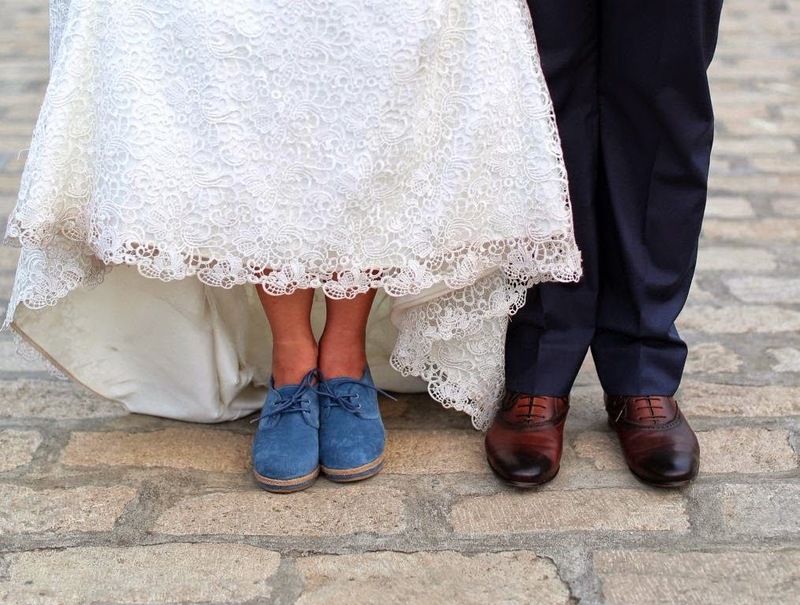 the bride wore blue sneakers. "Don't be afraid to stand out. Don't be afraid to shake up peoples' expectations. 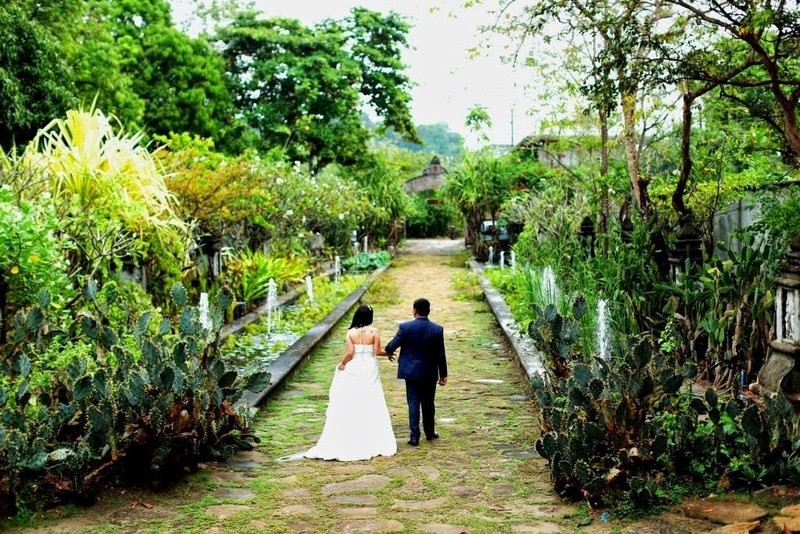 We wanted an old world, intimate wedding that would still reflect that we’re both anti-establishment at heart. 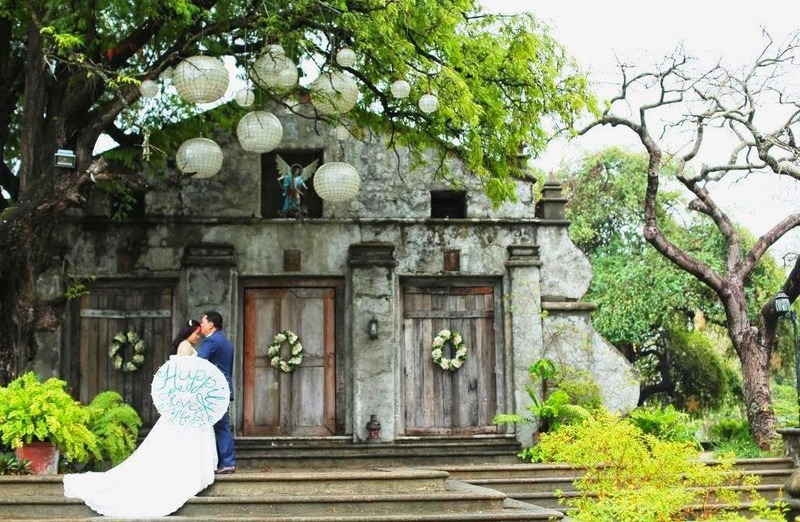 Gil and I fell in love with this beautiful heritage village resort -- Sitio Remedios in Currimao, Ilocos Norte –- where we could hold the wedding reception in a garden courtyard right beside the beach. 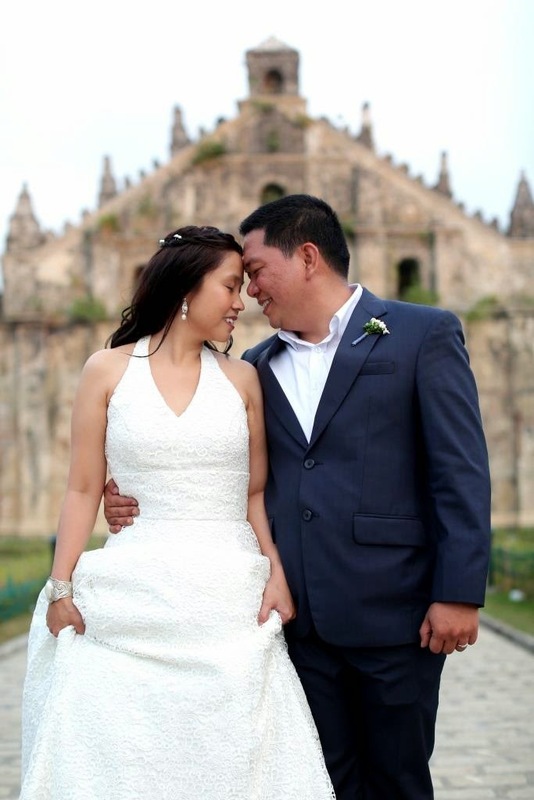 Near Sitio was the breathtaking Paoay Church – a UNESCO World Heritage Site. 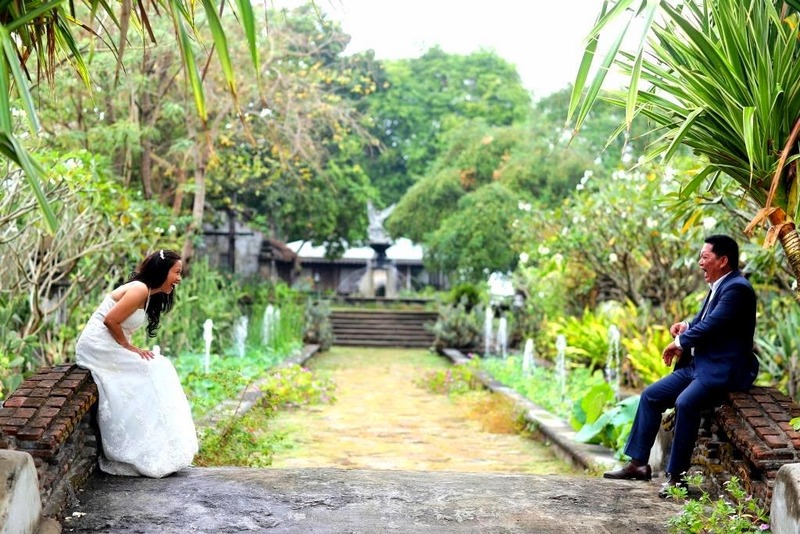 Both of our grandmothers were originally from Ilocos Norte, too, so the setting was perfect. We made sure our reception fare was an Ilocano feast. We did all the planning together. Gil was as hands on as I was, he set meeting with suppliers, created our excel sheets and filed all the contracts. I learned from wedding planning with him that he's very organized and that I can count on him to get things done. It made me love him even more, if that's possible. 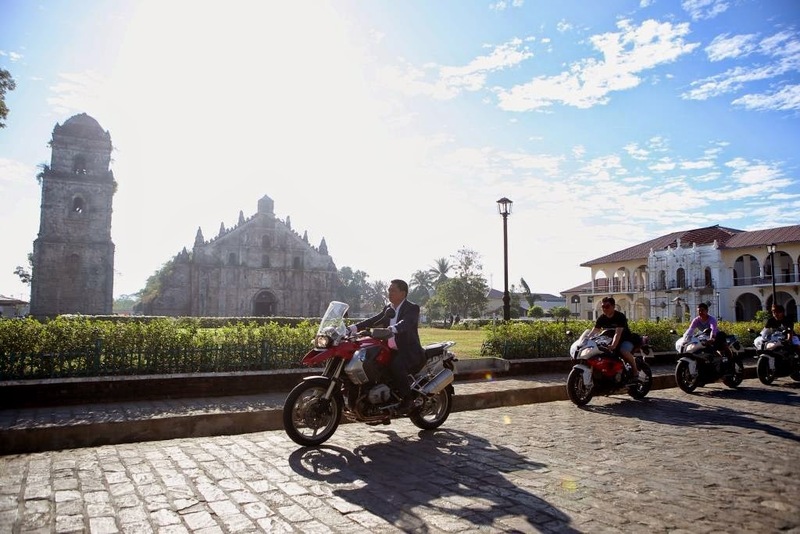 My groom travelled all over the world in big bikes, so he rode a bike to church. I’ve travelled all over the world in blue sneakers, so I wanted to be wearing blue sneakers for the greatest journey of my life thus far. 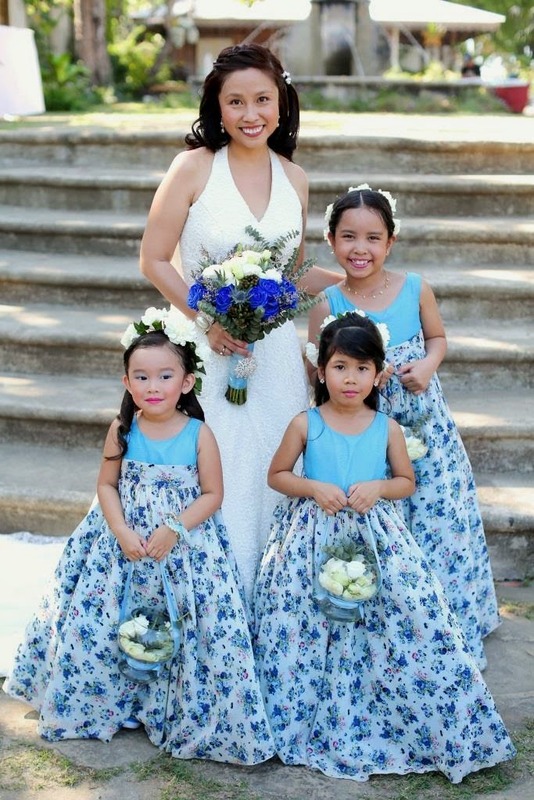 The flower girls were also wearing blue sneakers underneath their petticoats. 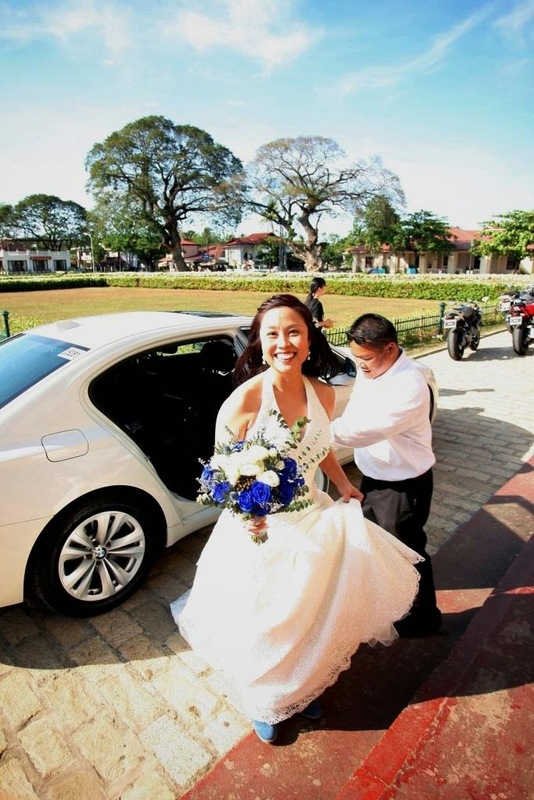 When I walked inside Paoay Church, there was a hush – partly from the surprise of my not wearing a veil. I wanted to see everyone and everything clearly on our wedding day. We wrote our own vows. His was a poem. Our friends and families were cheering when we read them out. Instead of a bouquet toss and garter ceremony – we have very few friends who are single - we got all our married and long time partnered friends to join a newspaper dance. The winning couple won the bouquet and garter. 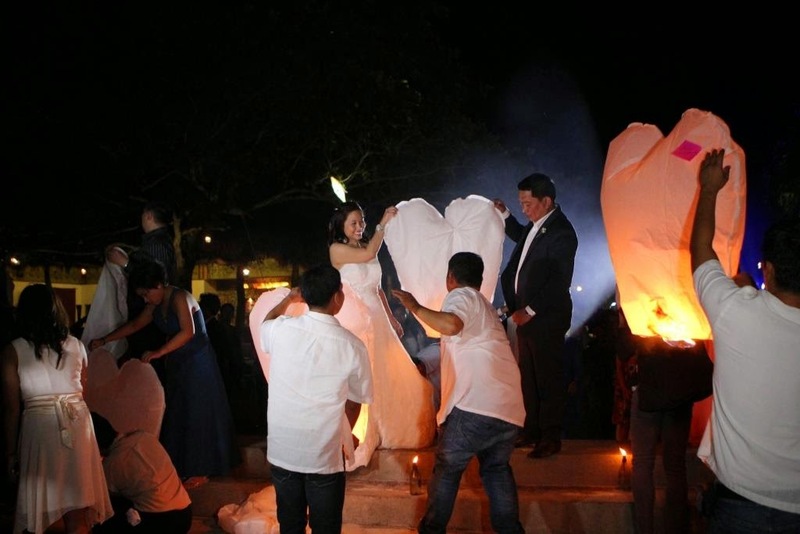 We got married on February 2, the Feast of Candlemas, so we used candles and lights as a theme ... from the invitation to the candles in the church aisle instead of flowers – to our candle holder giveaways and the sky lanterns and gorgeous fireworks at the reception. What unique thing would you do in the name of love? 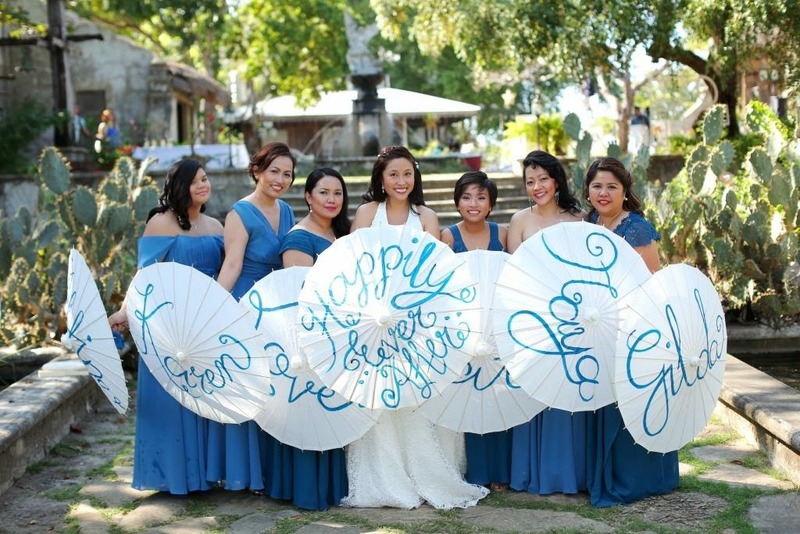 Share with us your own testament of love on your wedding day!